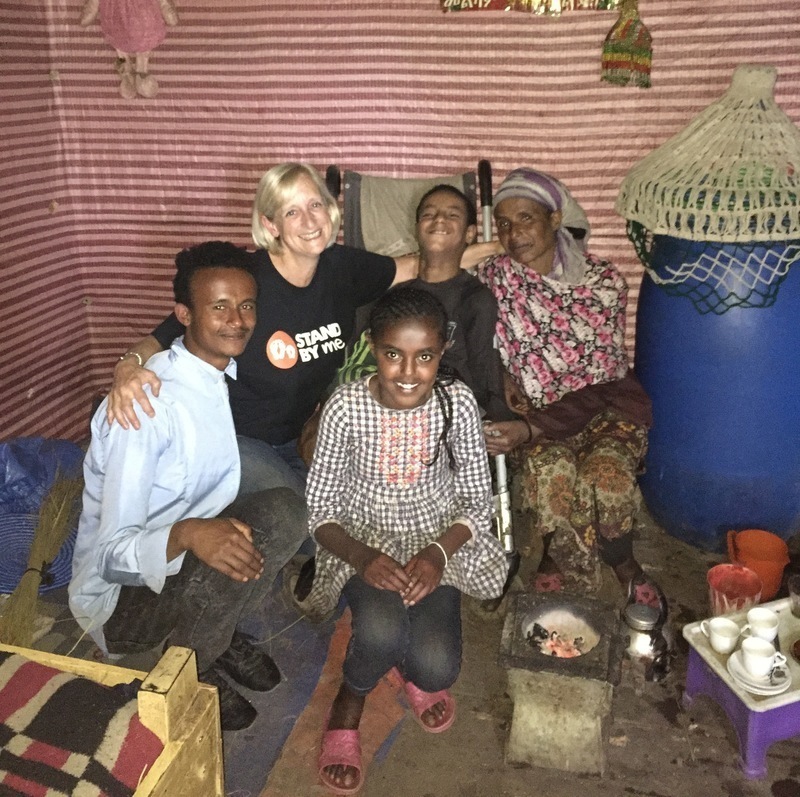 During my trip to Bekoji, Ethiopia in October 2018, I was moved to sponsor Diribu. It was fantastic to get to know Diribu and find out that through my support I wasn't just helping him but also his family. I was able to visit his home and meet his family on my trip. When visiting his home, I met Gemechu, Diribu’s 14 year old brother who has cerebral palsy. 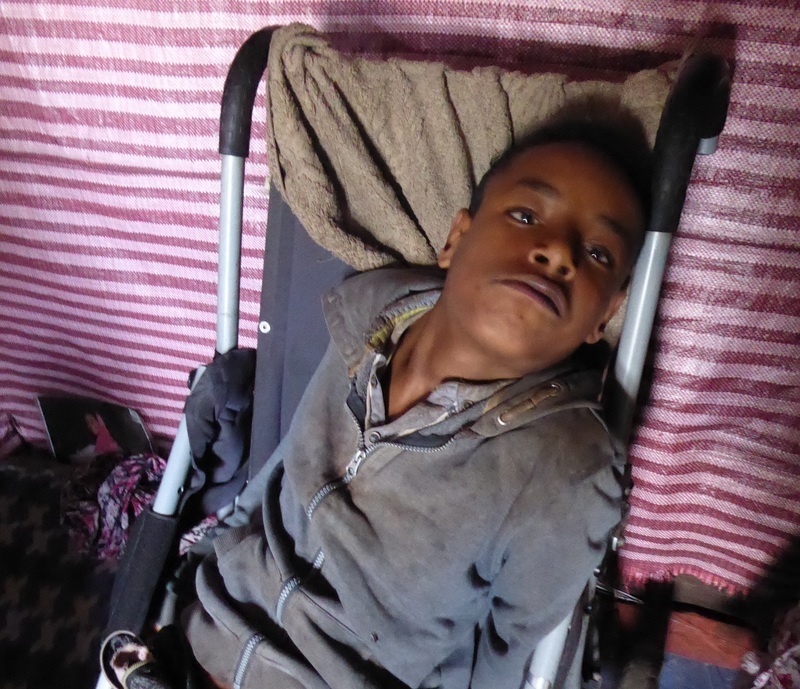 Gemechu's family are very poor and the wheelchair he currently has is not suitable for travelling on the rough ground and is uncomfortable for him to use. He has been confined to his home, unable to leave the dark, damp mud house which is limiting his quality and enjoyment of life. I would like to help Gemechu get a wheelchair that will adequately meet his needs and give him greater mobility. The donations from this page will go towards the costs of a customised wheelchair and the costs of Gemechu and a family member travelling to Addis Ababa, the capital city. Gemechu will have two trips to the capital, once to have a physiotherapy assessment and be measured for the wheelchair and secondly to pick up the wheelchair after it has been customised to Gemechu's size and receive training on how to use and look after the chair. Any funds raised in addition to this will go towards helping improve the family home and supporting their needs. As a 14 year old boy who has been confined to his house in recent years, being given the ability to get out and about thanks to a new wheelchair will be life-changing. And it won’t just be life-changing for Gemechu, but also for his family too as they can spend more time out of the house. Thank you for your support for Gemechu and for helping to provide him with a customised wheelchair that will greatly improve his quality of life and grow his confidence. A huge thank you for your generosity which has helped make it possible for Gemechu to receive his new wheelchair. Gemechu made the trip to Addis Ababa to be fitted for his wheelchair. Thankfully the chair was fitted in one visit and he travelled home with his new wheelchair. The wheelchair fits Gemechu comfortably and provides much needed support and padding. The front wheel provides stability and makes it much easier for Gemechu to travel over the rough and muddy ground. We are excited to see how his new wheelchair will start to improve his quality and enjoyment of life. I hope you are encouraged by the delight seen in Gemechu's smile. Thank you for your kindness and support!